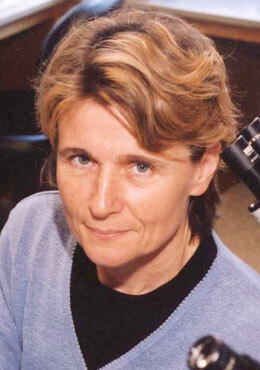 On April 24, 2008, Dr. Ruth Lehmann, Professor of Cell Biology and Director of the Skirball Institute at NYU Medical Center will present the 2008 Bloch Lecture. The title of her talk is How Germ Cells Find Their Niche: Stem Cell Migration in Vivo. Dr. Lehmann studies the development of germ cells, the precursors of egg and sperm. These cells are fascinating because they are are the only animal cells that give rise to future generations, or in her own words: “Germ cells are forever”. Using Drosophila as a model system, Dr. Lehmann’s lab studies how germ cells form and are maintained and how they are guided to the gonads. Dr. Ruth Lehmann will present the 2008 Bloch Lecture on April 24, 2008 at 12:00pm in Sherman Fairchild 102. All are welcome. Refreshments will be served.